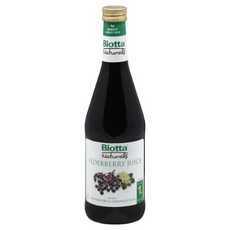 Enjoy Biotta NaturalsElderberry Juice For Your Respiratory & Immune. Rich In Mineral Nutrients Aids In Relieving Inflamed And Blocked Respiratory Passages. The Toxins From Air Pollution Has Lead To An Ever Increasing Strain On Our Respiratory Passages. The Natural Active Ingredients In Elderberries Can Help Regenerate The Cilia's Filtering Function In The Respiratory Passages. Has A Positive Influence On The Immune System. The Juice From Elderberries Also Helps Relieve Colds And Flu (Note: Description is informational only. Please refer to ingredients label on product prior to use and address any health questions to your Health Professional prior to use.